Scott Lasker is the Senior Director of Guest and Event Services for the Buffalo Bills, a professional American football team competing in the National Football League. Prior to 24/7 Software, the Buffalo Bills required a software solution that would give their enterprise a way to manage incidents, deploy real-time communications, and capture complete and accurate documentation for useful reporting resulting in important insight. After implementing 24/7 Software, Scott Lasker quickly experienced the awareness afforded by 24/7 Software’s platform. The deployment of mobile apps reduced radio traffic each year, and consistent reporting highlighted an interesting fact – a stadium section with the most overall activity on a game day. The Buffalo Bills are a professional American football team based in the Buffalo metropolitan area. The Bills compete in the National Football League, as a member club of the league's American Football Conference East division. 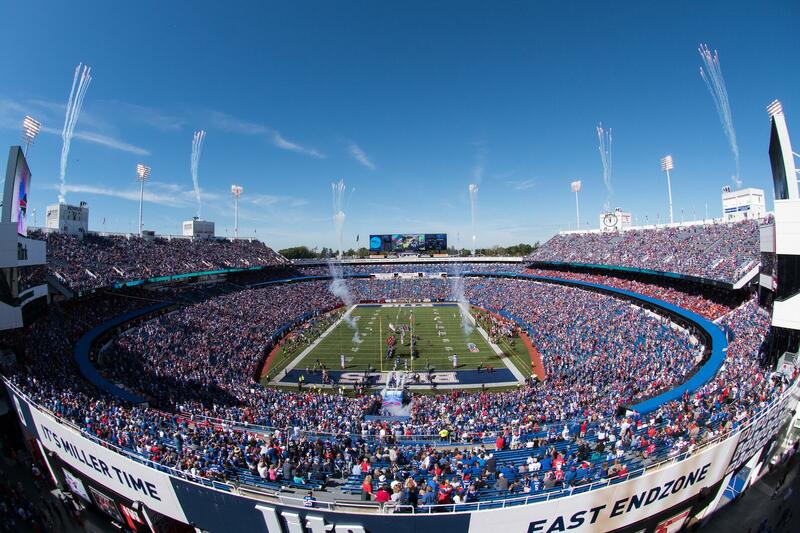 The Buffalo Bills evaluated platforms that incorporated the needs of their stadium operations. They wanted an all-inclusive solutions provider offering a platform that met the long-term requirements of their operation. “We asked our counterparts in the NFL, and the trend in 2012 was to use 24/7 Software. The NFL used it at the Pro Bowl and the Super Bowl, and a few teams had just started using it.” In 2018, 26 of the 31 NFL stadiums use 24/7 Software’s platform. One of the most critical applications of 24/7 Software for the Buffalo Bills is the increase in awareness and communication on game day. Scott’s team can identify locations with high levels of activity, formulate a strategy for resources allocation, coordinate with associated groups, and then communicate critical details in real time. Since implementing 24/7 Software, the most prominent benefit to the Buffalo Bills is the ability to see (and manage) what is indeed happening on their property on game day. From being able to track incidents, maintenance issues, and lost & found items in real time to generating recap reports instantaneously after an event has ended, has all helped to improve their operation immensely. 24/7 Software’s platform allows the Buffalo Bills to compile data that would otherwise take them weeks to gather and analyze, thus saving them time, money, and resources. “We get instant access to what is happening on our property. For example, notification of certain incident types as they occur provides us with the capability to provide information about emergency situations to all of the necessary people in a timely manner,” Scott explained. Proactive management of all operational functions is a crucial aspect of why the Buffalo Bills utilize 24/7 Software, and at the level they do. Scott shared three significant areas that the platform helps the Buffalo Bills maximize their performance: real-time communication of issues and incidents, lost & found management, and proactive maintenance. For real-time communication, the Buffalo Bills are not only using the platform to report to the command center via Text Communication and the Incident Management Mobile App; they’re getting responses back from guests and staff about issues and incidents that are not as important. This two-way communication helps them get answers about lower-priority incidents, so they can manage resources accordingly. Additionally, Scott’s team will send text messages to all devices to communicate different event markers – all of which is happening in real time. “Someone used to turn in, for example, a lost glove at booth 101 and walk around to all the guest services booths to locate the found item. Now, someone with a laptop can identify the found item and send guests to the correct booth,” said Scott about their efficient yet straightforward process for managing lost & found. The Buffalo Bills always end their events by generating reports, reviewing the results, and communicating the details to all need-to-know individuals. Reports are sent out once an event closes and then when Scott officially closes the game on Tuesday. Scott outlined interesting insight and notable improvements to their process that their reports brought to light. Most interesting, is that one section has the most overall activity on game day – something which would not be known without the reporting capabilities provided by 24/7 Software.